If you're looking for Lapland holidays, look no further! Lapland is where Christmas dreams come true. 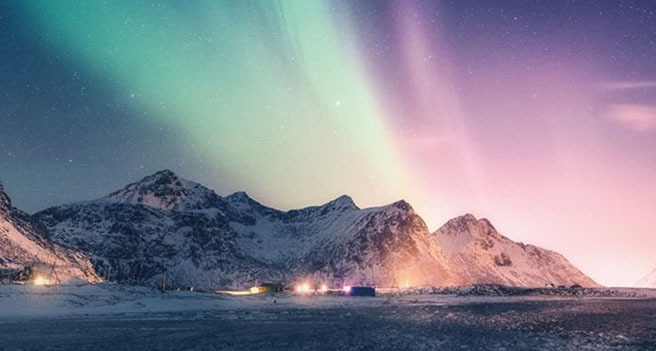 It's not just a magical winter wonderland deep inside the Arctic Circle. It's also where you'll find Santa Claus and his trusty team of elves, whose mission is to spread happiness and fun. If you come on one of our Christmas trips you'll have a chance to drop in on Santa for a private meeting and he has a present for all the children. Christmas is the most enchanting time of the year, and the excitement never truly fades, no matter your age. With our fantastic getaways, you can embrace the spirit of Christmas on an adventure like you’ve never experienced before. 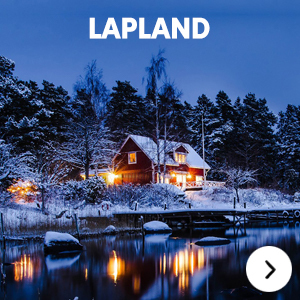 Which Lapland holiday is perfect for you? Whether you’d like to meet Santa and his furry woodland friends, go exploring on a sled or discover a secret village, there’s something for everyone. Maybe you’ll discover the natural wonder of the Northern Lights on Santa’s Sleigh-Bell Sleepover, after spending an afternoon playing in the snow with the family. Couples are invited too, on an adventure packed with exhilarating excursions and cosy meals by a roaring fire. Whatever you’re looking for, there’s a perfect holiday for you to create the most magical Christmas yet. Santa loves having children to visit so many of our holidays for children are completely free of charge! The free child places are for children aged 2 to 5 and are available on all flights on a first come, first served basis so we advise early booking. Looking for traditional holidays in Lapland? This trip goes off the beaten track in Levi, Pallas and Yllas – all packed with authentic Lappish atmosphere. Stay in and snuggle up by the fire, or try out activities like ice-fishing or snowmobiling. Traditional log cabins, snow-dusted landscapes and forest-coated fells are all on the cards on holidays to Luosto. Holidays to Hetta conjure up a taste of true Lapland – expect empty snowscapes, cute wooden villages and thrilling winter sports. Kilometre-long frozen lakes, acres of snow-topped trees, and first-class ski slopes with the nightlife to match are all staples of holidays to Ruka. Holidays to Kuusamo serve up some stellar, snow-blanketed scenery – this peaceful town’s a great spot to see the best of Finland’s natural beauty. Two days in Santa's homeland jam-packed with excitement. Try out some of the many winter activities and see stunning frozen landscapes on traditional Lappish transport. For the ultimate Lapland adventure, enjoy three nights in Levi. Embrace the Christmas spirit and enjoy the kids’ party night with the little ones. There’s a lot to see and do on Santa’s Festive Adventure, like visiting the resort centre and riding on a husky sled. If you’re not already thinking of presents, tinsel and the big man in red, it’s time to get organised! Make this December extra special with a trip to a real-life winter wonderland, where the spirit of Christmas is alive and you really can hear sleigh bells in the snow. On this remarkable adventure we explore Norway and Swedish Lapland, journeying north far into the Arctic Circle where we seek out the magical Northern Lights, all whilst travelling on some of Scandinavia's most scenic railways. Venturing upwards through the beautiful scenery of Scandinavia, we discover the Norwegian and Swedish areas of Lapland, crossing the Arctic Circle on an adventure to see the magical Northern Lights. Journey on magnificent railways, stop off in spectacular cities and experience the true majesty of the Scandinavian scenery. We are taking you to Kuusamo, which is known for its snow-blanketed scenery, ski slopes and hiking trails. This peaceful town also offers plenty of opportunities to get up close and personal with the local wildlife, such as spending an afternoon visiting a reindeer farm where you'll get the chance to feed them and learn all about Santa's sleigh-pullers. 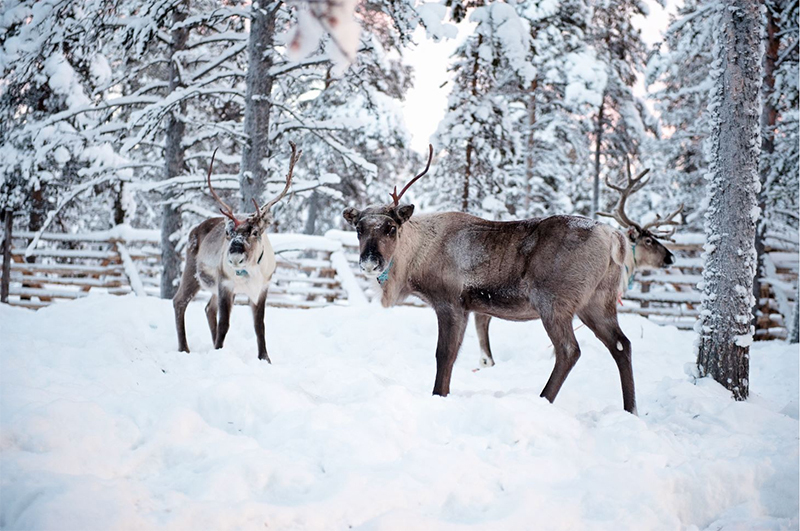 Make next Christmas a magical one and book a trip to Lapland!. Don't forget to take a look at our tour descriptions to help you plan for your magical Day/Stay trip to Lapland this Christmas. Lapland trips top the listing of wonderful encounters for family members with youthful kids. After all, a trip to true home of Santa is the ideal method to keep the Christmas magic alive. The wonder on little faces as they take in reindeer, husky canines and, of course, a visit to the big guy himself is worth the trip alone! While Christmas is a big component of Lapland's attraction, that's not to say that holidays to Lapland are just for children. This wintertime wonderland has activities for grownups to take pleasure in as well, including wonderful chances to ski, as well as a wide range of various other winter season tasks, adventures and also sports. Visualize taking a snow safari via an icy forest, or snowboarding with a fairy-lit village at your feet? Whatever you decide to do in Lapland, it will have a wonderful touch. Levi is one of the very best ski places in Lapland, with great conditions from November to May. Beginner skiers will certainly be in paradise in Levi, thanks to the uncrowded slopes, broad runs and excellent tuition centers. Those which are a little more experienced on their skis will certainly wish to explore off-piste as well as tackle the World Cup gondola pitch. Snowboarders will certainly also discover plenty to keep them occupied and also off-piste tasks include husky, reindeer as well as snowmobile safaris, sledging, tobogganing, snow shoeing, ice angling and far more! For those whose Lapland visit is about the big jully guy in his red suit, Rovaniemi is the destination to select. In the heart of the magical Arctic Circle, the highlight of Rovaniemi is the Santa Claus Village. And also the Santa Claus Office and also the Main Post Office, you could also venture underground right into the ice cavern attraction, Santa Park, take a snowmobile or husky trip, or visit Dasher as well as Dancer at the reindeer ranch. Lapland vacations are the excellent winter months treat for adventurers of any ages. Those with children won't find anywhere in the world as wonderful, while snow-loving adults could experience wonderful ski possibilities in one of the most charming of locations.